These 3D photographs are made using the lenticular technique in which the illusion of depth is created by interlaced photographs. The new method is to combine the traditional photography and computer generated modeling. Three-dimensional photography is a kind of opening towards placing this area of photography alongside other practices of representation. art and explorers of the scientific world. Backlight Photo Festival is one of the oldest and largest international photography festivals in Northern Europe. Organized once every three years by the Photographic Centre Nykyaika in the city of Tampere, Finland, Backlight exhibits contemporary photography on socially and globally important issues. Now in its sixteenth edition, the triennial stays true to its pioneering spirit in announcing the theme for the upcoming 2020 festival: Related Realities – Photography meets science and new technologies. The festival creators have as their ambition for Related Realities to nourish and boost discussion between art photography and science. Artists will be invited to show documentary and fine art photography in exhibitions and create installations together with experts from computer-assisted photography, virtual technologies, sound and exhibition design. In addition to exhibitions and installations, the festival will feature a lecture series on photography, science and new technologies, a workshop on exhibition design, and portfolio reviews. Artists are invited to submit their work in an open call to be announced in June 2019. Festival curators will select exhibitions from the submitted photo series in combination with works by invited artists. Backlight will bring together an international team of curators to ensure a world-class selection of artworks. Backlight 2020: When and where? Backlight opens from September – October 2020 in and around Tampere city. The main venue of the triennial is the Tampere Art Museum, and supporting venues include Photographic Centre Nykyaika and other galleries, as well in shopping centre Ratina and Tampere University campus, among others. Maija Tammi: Day 11 924, Pa-Ju, 2016. From the series White Rabbit Fever. Archival inkjet print on backlit film, 12 x 12 cm. 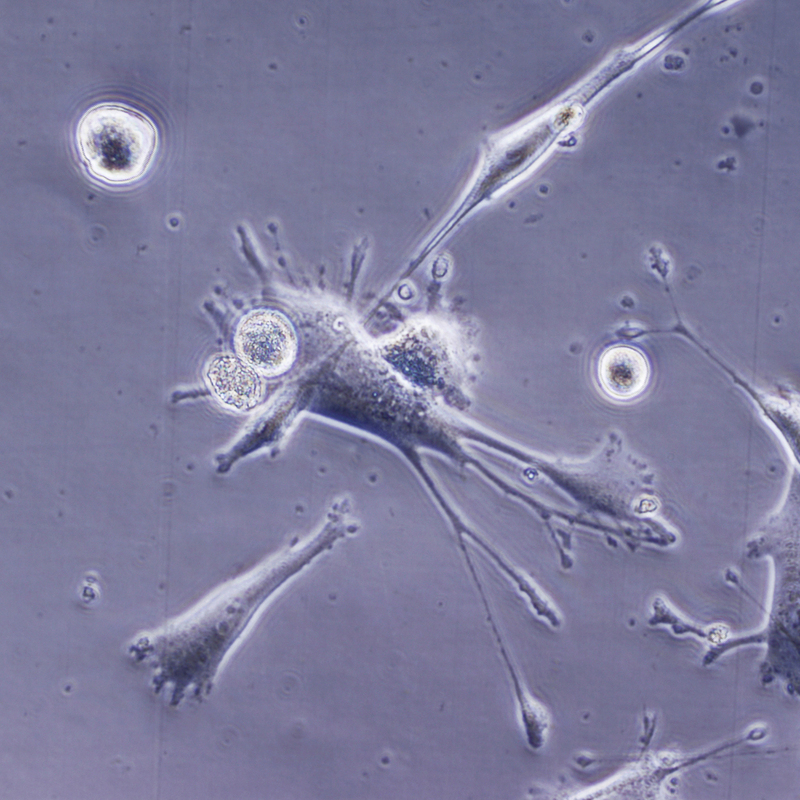 * Pa-Ju is an immortal human cancer cell line, derived from a Finnish teenage patient in 1983.